An ao dai (traditional Vietnamese long dress) fashion show was held on Wednesday at La Maison 1888 Restaurant on the campus of the InterContinental Danang Sun Peninsula Resort in the central coastal city of Danang. 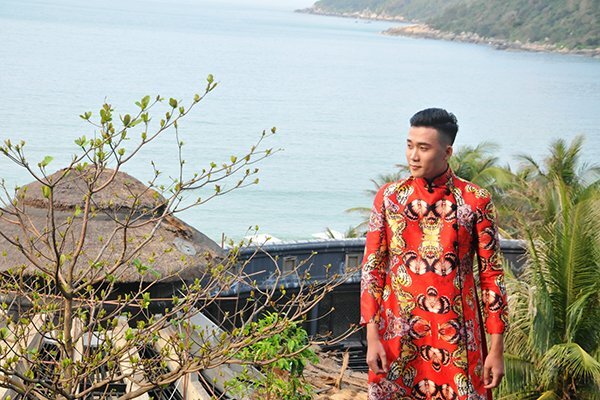 The fashion show marked the closing of the week-long exhibition titled “Vietnam’s ao dai – The everlasting beauty” which was organized for the first time at the luxury resort to honor the beauty of the traditional Vietnamese costume. Two ao dai collections, “Secret Garden” and “My Vietnam”, created by local designers Adrian Anh Tuan and Thuy Nguyen respectively were introduced to fashion lovers at the event. The fashion collection by designer Thuy Nguyen was inspired from the stunning natural landscapes of the country’s three regions of Hanoi, Danang and HCMC.